The Kingdom of Bahrain, represented by the Bahrain Tourism and Exhibitions Authority (BTEA), has been selected as a member of the United Nations World Tourism Organization’s (UNWTO) Executive Council for the period 2018-2021. This selection comes as a result of the BTEA’s efforts towards developing the tourism sector on a local level, as well as the Kingdom’s capability to represent the Middle East region in terms of tourism developments. “We would like to extend our deep congratulations to the wise leadership on the occasion of selecting the Kingdom as a member of the UNWTO Executive Council. This achievement will further strengthen the Kingdom’s position in managing the tourism portfolio on an international level,” said the Minister of Industry, Commerce, and Tourism and Chairman of BTEA, H.E. Mr. Zayed bin Rashid Al Zayani. The announcement took place during the 22nd session of the World Tourism Organization General Assembly, held in the Republic of China from the 11th until the 16th of September 2017. 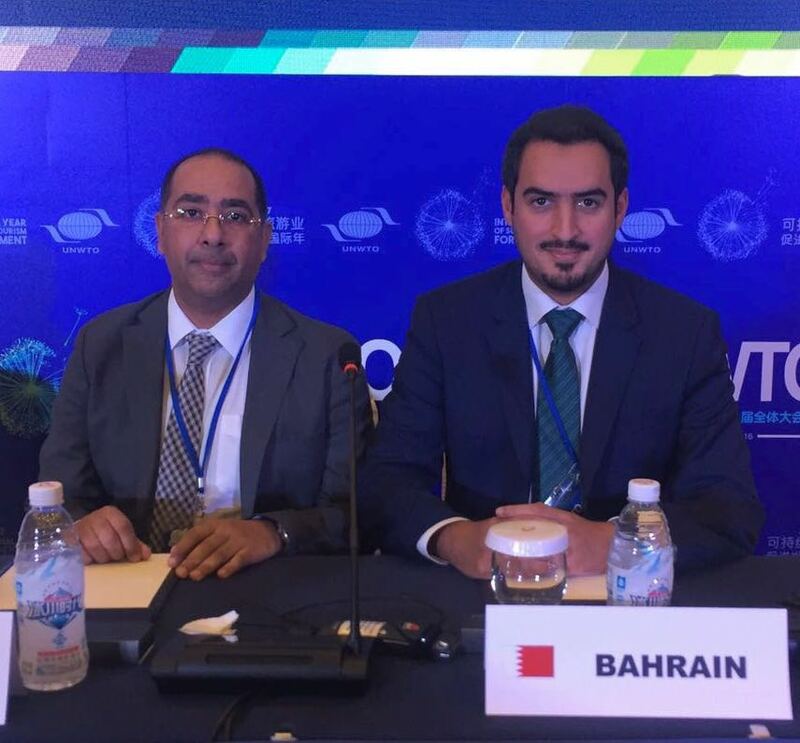 Following the votes made by the Middle East Committee, the Kingdom of Bahrain and Egypt were elected as Members of the Executive Council. The Republic of Yemen and the Lebanese Republic were also shortlisted for the selection, where Egypt won by nine votes and Bahrain by six, to four votes for Lebanon and one vote for Yemen. The UNWTO was established in 1925 and is based in the Spanish capital of Madrid. It is concerned with countries’ political affairs in terms of tourism and produces statistics on tourism demand and supply worldwide. Its membership includes 145 countries, comprises six regions, and 350 Affiliate Members representing the private sector, educational institutions, tourism associations and local tourism authorities. The World Tourism Organization’s Executive Council is considered the world’s top tourism executive body with 32 members representing the six regions of the world.